Are you participating in the JAMB UTME examination this year? If your answer is yes, then you should know, the exact method which JAMB uses to marks your scripts and scores you. What is the total mark of jamb? How many points do I need to pass jamb? How many correct answers do I need to pass JAMB? We hope that through this article, you’ll be enlightened and have full knowledge of how jamb scores you. The main aim of writing this article today is that some students are complaining, that jamb marking scheme is a scam. You should take note, that in the year 2018, 70% of jamb candidates, who participated in the JAMB-UTME examination scored below the 180 point aggregate. 1: Use of English – Which is mandatory for all candidates. 2: Any three relevant subject – which fully depends on the choice made by the candidates. You should be aware, that the Use of English is made up of 150 questions. While the other three subjects, according to Candidates course, is made up of fifty (50) questions each. Take note that the JAMB examination is made up of 300 questions. The time frame which is given by JAMB to candidates to answer all the 300 questions is 3 Hours 30 Minutes. The truth is that candidates can score as high as 400 over 400. It is very possible to score this, but have you ever seen or heard of anyone scoring as high as 400/400? There has been lots of speculation about this issue. Some people are with the notion, while others oppose that the notion of JAMB using negative marking scheme. In negative marking, if you fail or wrongly answered a question, it will automatically cancel one right answer. However, we want to make it extra clear here today on Dailyschoolnews Nigeria, that JAMB does not support Negative Marking. In-Jamb, you’re graded with the exact Mark you answered correctly. Surely, as we all know, writing exams normally lead to stress and anxiety, and this is not just any kind of exams, this is JAMB examination, and i guess the stress doubles, but today, we’ll be showing you, the easiest way on how to study, read and score above 280 in the forthcoming jamb 2019 examination! CLICK HERE TO –> Read and Score Above 280 in JAMB 2019/2020 UTME. By d special grace of God i will score my jamb above 300 or 350 it is possible if i will prepared and trust in GOD i serve. Surely, it is very possible. People are saying that jamb is lucky,NO i don’t agree with that it depend on your effort and strenght u use in reading 4 the jamb if u read hard then come out with high score,SO DON’T BELIEVE ON WHAT PEOPLE SAY. Thanks for the clarification Joseph Adams. Hello Goodness. Yes, the Nigerian Senate is on the brim of approving the jamb result validity from 1 year to 3 years. Thank so much for this article you have solved 80per. Of my problem in jamb use of english. What is the cut off mark for medicine for 2016 JAMB? This totally depends on your selected school or preferred academic institution, which you chose while registering for the jamb examination. 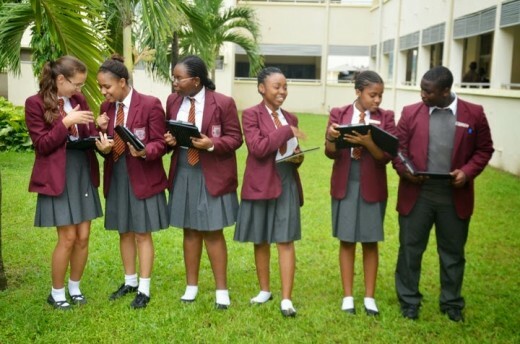 Most schools selects candidates with 250+ jamb scores. they are d most untruthful exam body I have ever seen in my life. You said so Philips, you said so. Jamb is actually a stwpid exam lyk seriously! I think its mearnt to be eradicated! I think dis year Our chairman! MR,d.o wants to make money with d so called jamb exam! Cos I dnt really understand y dey will keep giving nonsense score fo canditate! Dats absurding now! And nt good! U see people claiming dat jamb failed them which is true! I tink the jamb officials are doing dis purposely co s I dnt really understand y one’s score should be subtracted unnecessarily! U see a dullard scoring 399 and a genius struggling to score 200! Why? Mr.d.o! I wish I could be in right position to prob and query how and ways u give marks to candidate! Hello, Segun, we all go through this pain. Thanks for using this page to vehemently share your views. I did this year jamb (2016) which seem simple because I was familiar with all the questions under CRS but on checking my result today it turns out that I score 63….how come!!? You were simply overconfidence, so you didn’t bother to cross-checked? You know, some students have taken it to JAMB, that they scored above their given scores, and in front the Nation, through AIT and NTA, JAMB officials brought out their result, recheck it and show it to them and their parents. JAMB scores is been marked by computers now. do jamb times the remaining 3 subject? Are they still deducting mark from your real mark in jamb???? This is to say if you fail a question, a mark will be deduct from your real mark!!!! Are they still doing that??? No. They’ve stopped doing this.